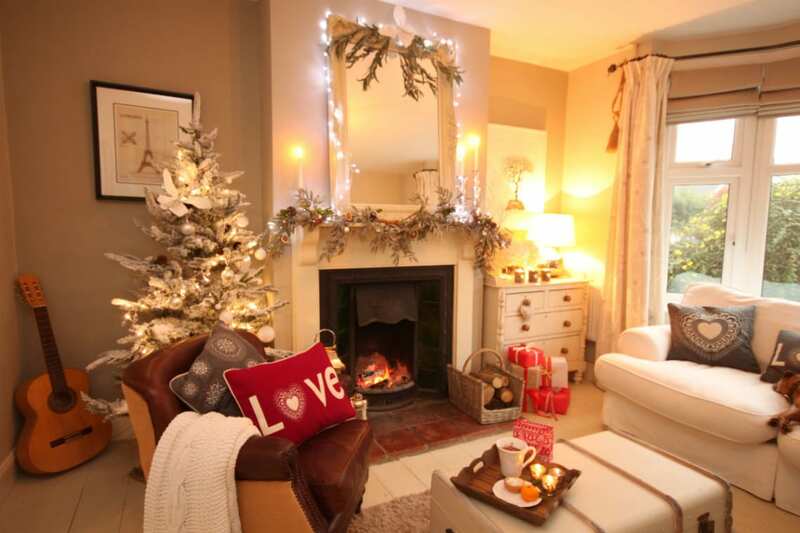 Home Stagers Top Tips for Staging to Sell at Christmas…! There is no escaping it, Christmas is coming! Decorating your home to create a gorgeous festive welcome for family and friends adds that extra special sparkle to the atmosphere, but the big question is “Does it always work if you are marketing your home through the holidays?” Too many decorations can be distracting and no decorations at all could look spiritless! Do create a charming festive greeting at the front door with a pretty, natural wreath or a bough of fresh greenery will always look inviting. Don’t go overboard with large flashy inflatable decorations and lights. Do create a warm welcome in the hallway, a simple green natural garland running up the stairs will look stunning. Do keep decorations classy and subtle and, if possible, stick with a complimentary colour palette that enhances your décor. Don’t over decorate the interior; the bedrooms and bathrooms really do not need trimming! Do use natural elements; pine cones, dried orange slices, natural pine branches and gathered greenery from the garden, these are cost effective, fragrant and undoubtedly look very festive and stylish. At Home Stagers we aim to maximise appeal to the broadest target market when staging properties for sale, whatever the time of the year. We compliment the style of the architecture to meet and exceed the expectations of buyers. In any season we advise our clients to promote the property’s full potential, and at this time of the year it is fundamentally important to create a warm and inviting atmosphere. This key point is valid for modern and period properties either in the city or country. Visual warmth can be defined by the clever use of colour, and texture in the decor and even more crucially; excellent lighting. However, physical warmth has a profoundly psychological effect, a comfortably warm property will undoubtedly feel more welcoming and homely. If you happen to have an open fire or a wood burner, use it to full potential, gather a Yule log…this is definitely your WOW factor in winter!